China (mainland) Henan Xinxiang,R&D Building, Torch Industrial Zone, Xinfei Road 1789, Xinxiang City. 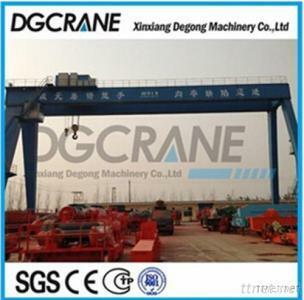 Overhead crane for steel industry is a special indispensable lifting equipment for continuous casting and continuous hot rolling production line. Overhead crane for steel industry are used to lift molten steel,steel coils,steel material and so on. It consists of bridge, crane travelling mechanism, trolley, electric equipment and electromagnetic carrier beam. Both travelling mechanism and trolley motors are special motors for canes, large starting torque and loading capacity. Difficult loads, reliable and versatile handling functions, high or extremely fluctuating ambient temperatures: the harsh operating conditions in foundries demand high levels of safety and functional reliability for crane systems. The capacity of the crane is up to 550 ton,the span is up to 31m.